The International Cricket Council yesterday announced the umpire and match referee appointments for theICC U19 Cricket World Cup 2018, which will be staged in New Zealand from 13 January to 3 February. The Windies will be looking to defend their title and emulate Pakistan, who won consecutive titles in 2004 and 2006. Australia and India have won the title three times each while England and South Africa are the other teams to have won the tournament, which replicates a major tournament experience in terms of organization and playing facilities. The other teams participating in the 16-team tournament are Afghanistan, Bangladesh, Ireland, Kenya, Namibia, New Zealand, Papua New Guinea, South Africa, Sri Lanka and Zimbabwe. The team have been divided in groups of four each. The top two sides from each group will advance to the Super League while the remaining eight teams will figure in the Plate Championship. The preliminary round matches will be followed by quarter-finals, semi-finals and finals, plus the play-offs. The 12th edition of the tournament will see 14 members of the Emirates International Panel of ICC Umpires officiating in the tournament - Robert Bailey, Gregory Brathwaite, Anil Chaudhary, Nigel Duguid, Shaun George, Shaun Haig, Mark Hawthorne, Ranmore Martinesz, C.K. Nandan, Ahsan Raza, Shozab Raza, Timothy Robert Robinson, Langton Rusere and Paul Wilson. Apart from them, David Odhiambo, Buddhi Pradhan and Ian Ramage from the ICC Development Panel will also be officiating in the tournament. Jeff Crowe of the Emirates Elite Panel of ICC Match Referees, and Devdas Govindjee and David Jukes of the International Panel of ICC Match Referees, will also be officiating in the tournament. 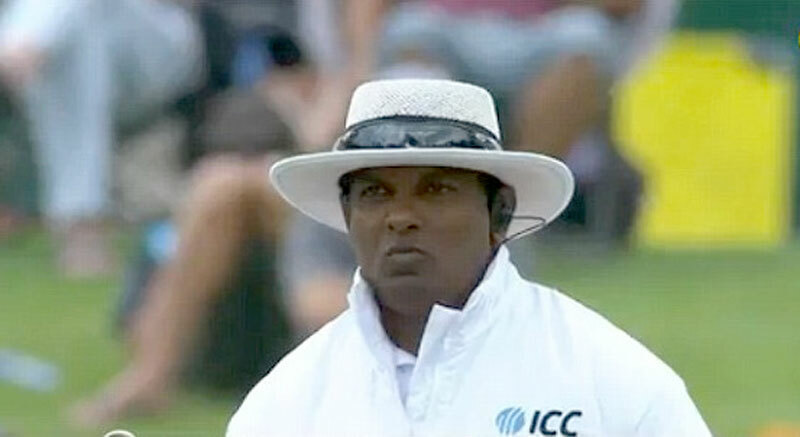 Shaun George and Ahsan Raza will be the on-field umpires for the match between defending champions the Windies and hosts New Zealand on the opening day at the Bay Oval in Tauranga while Robert Bailey will be the TV umpire and Timothy Robinson the fourth umpire. David Jukes has been appointed as the match referee for this match. Umpire and match referee appointments for the knockout stages will be announced after the teams have been confirmed.